Dolby Atmos delivers breathtaking realism with 360° surround sound, accurately positioning sound within your environment so that the 7.1.2 speaker channels (including Phantom Surround Back) completely envelopes you in sound""even from above. Combining auto calibration technology with virtual speaker relocation, D.C.A.C EX automatically optimises speaker frequencies, phase and delays, to deliver a sound field perfectly suited to your room. 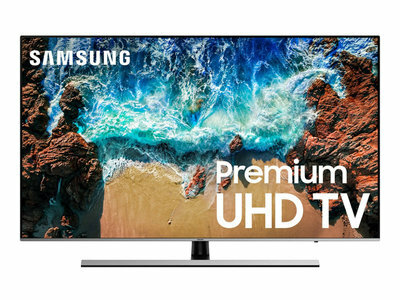 Maintain 4K quality from source to screen""the 4K pass-through feature allows data to pass through the receiver without compromising image quality, and is HDCP 2.2 compatible. By supporting High Dynamic Range (HDR) signal pass-through, you can enjoy the incredible jump in image contrast and brightness it brings""and the additional shadow detail and highlights further enhance picture detail and brings colours to life. Co-developed for High-Resolution Audio by Sony and Philips, the companies behind the original CD format, DSD offers a revolutionary way of capturing and playing back audio. Its sampling frequency is 128-times that of CD, and it offers 8 times the data volume of CD, to take audio to a whole new level. Totally different from PCM format, DSD uses a pulse-density modulation encoding method to store audio, expressing sound through the pulse intensity of a 1-bit digital audio stream that more closely represents the nature of an analog audio waveform. This enables the delivery of warm, natural analog-like sound coupled with the digital advantages of wide dynamic range and frequency response surpassing 100 kHz. Since the STR-DN1070 supports DSD (Direct Stream Digital) native playback, there is no conversion involved so DSD content can be fully enjoyed without losing any of their original purity. The STR-DN1080 supports a wide variety of High-Resolution Audio formats, including both DSD and Linear PCM. What's more, playback is possible with USB and DLNA connectivity, and multi-channel capabilities let you incorporate the high quality sound into an immersive surround system. With six HDMI inputs and two HDMI outputs""including one dedicated second zone HDMI output""there's space for your current equipment and scope to expand. Play DSD through DLNA network connected devices, or connected to USB with support for up to 24 bit/192 kHz High-Resolution Audio playback. LDAC transmits approximately three times more data (at the maximum transfer rate: 990 kbps) than conventional Bluetooth Audio, which allows you to enjoy High-Resolution Audio content in exceptional sound quality near to High-Resolution Audio. Enjoy simple wireless listening with One-touch NFC. Just touch a compatible smartphone to receiver for Bluetooth audio. 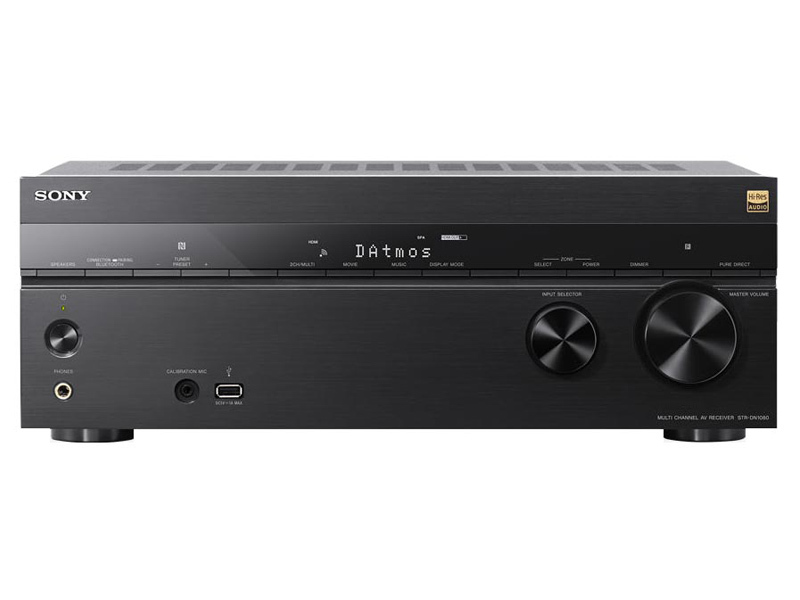 Pair the UBP-X800""the latest 4K UHD Blu-Ray player, with the STR-DN1080 receiver for the ultimate home entertainment experience. From the stylish coordinated design, through to the enhanced picture and sound quality, the beauty's in the detail. DSD delivers audio with an immense sense of space and accurate representation of an artist"s original vision. By selecting DSD Native playback, DSP processing is bypassed to deliver DSD original purity as-is, but if you prefer you can select DSP processing with 32-bit DA conversion as well. What"s more, multi-channel 5.1ch surround with DSD 5.6 MHz delivers a truly immersive home cinema experience in which the advantages of DSD can be appreciated to their fullest. Each digital device has its own analog voltage regulator to keep high frequency noise from distorting the analogue signal. Non DSD native playback is also supported, in which DA conversion is performed on the DSP output that has been processed in 32 bits "as is". The superior DSP technology that Sony has cultivated for AVR enables all features to be upgraded by undergoing 32-bit DA conversion. Harness all the power of the 7.1.2 channels in one room (Main) or enjoy 5.2 channel sound in one room and share the remaining 2 channels in another (Zone 2). It"s easy to navigate your receiver"s settings, thanks to an intuitive home menu. Control what you watch, identify which devices are connected, and choose how you want to listen with pre-set sound modes.